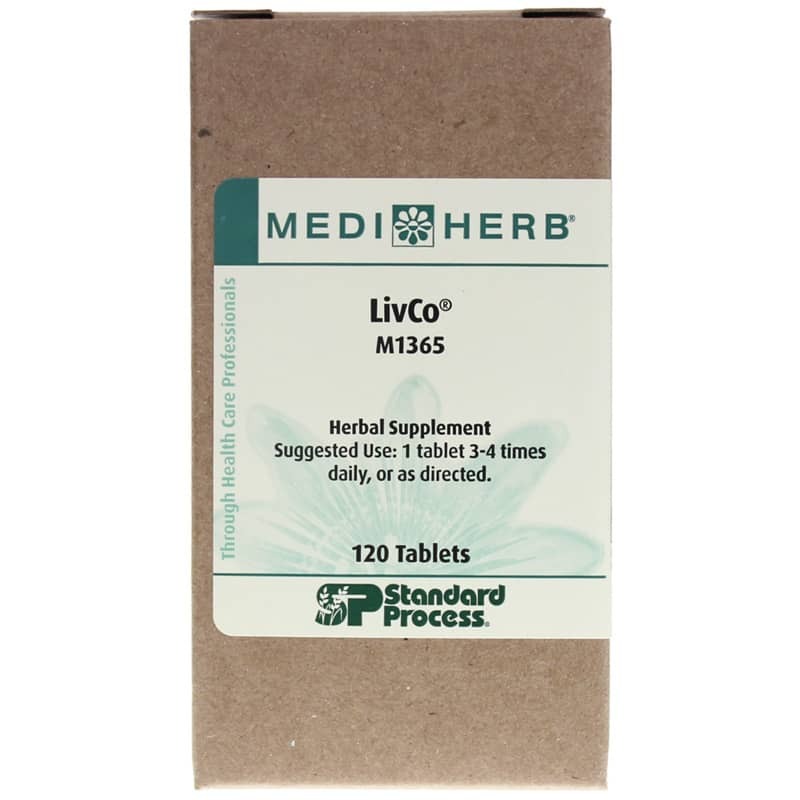 LivCo from Standard Process is a liver support supplement that contains a combination of Schisandra, Rosemary and Milk Thistle, which provide a range of compounds including dibenzocyclooctene lignans, phenolic diterpenes (including carnosol and rosmarinic acid), other terpenes, flavonoids and flavanolignans (collectively known as silymarin). Other Ingredients: Calcium phosphate, cellulose, maltodextrin, sodium starch glycollate, hypromellose, sorbitol and magnesium stearate. 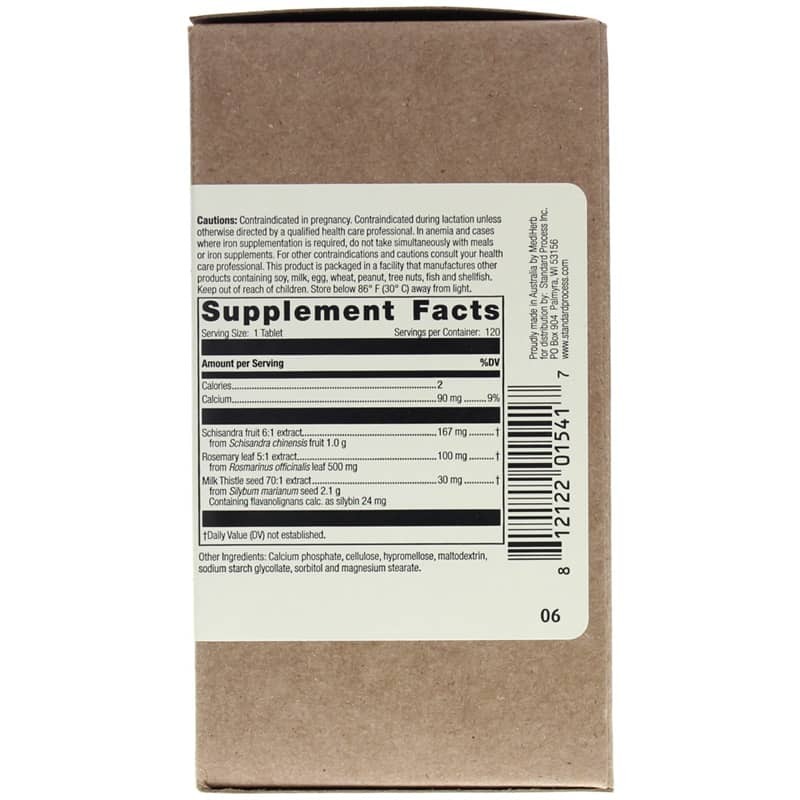 Adults: 1 tablet 3 - 4 times daily, or as directed. Contraindicated in pregnancy. Contraindicated during lactation unless otherwise directed by a qualified health care professional. In anemia and cases where iron supplementation is required, do not take simultaneously with meals or iron supplements. Keep out of the reach of children.